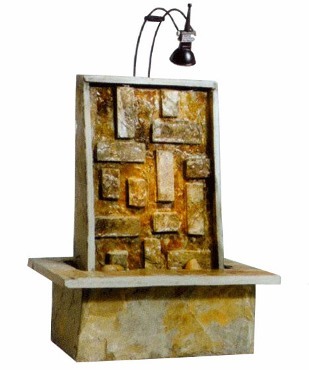 The Blocks Fountain brings the organic beauty of water flowing over brick like slate panel that sparkles under built-in lighting, into any indoor space. This fountain will help erase all of the little stresses and irritations of your daily life and will bring beauty and a sense of peace into your home. this unique fountain crafted out of natural slate stone by gifted artisans.